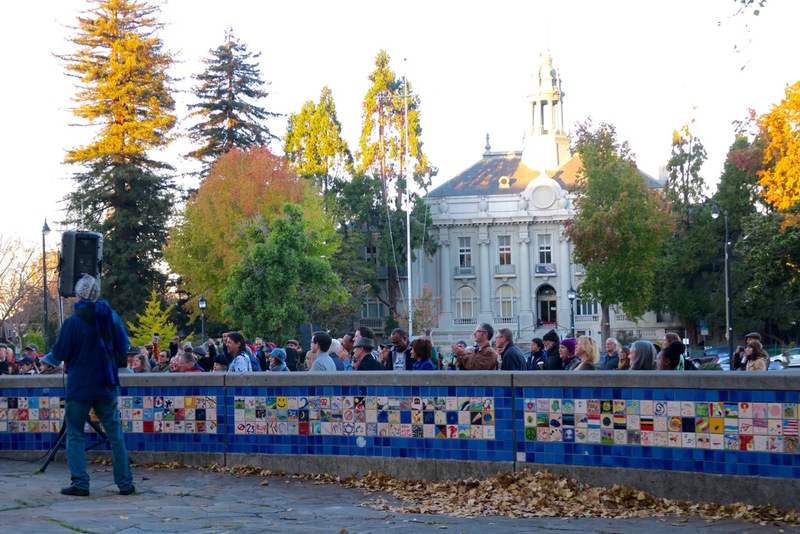 Two hundred Berkeley dreamers held hands near sunrise Friday, hugged, and hoped to survive Trump in Berkeley’s Civic Center Park. 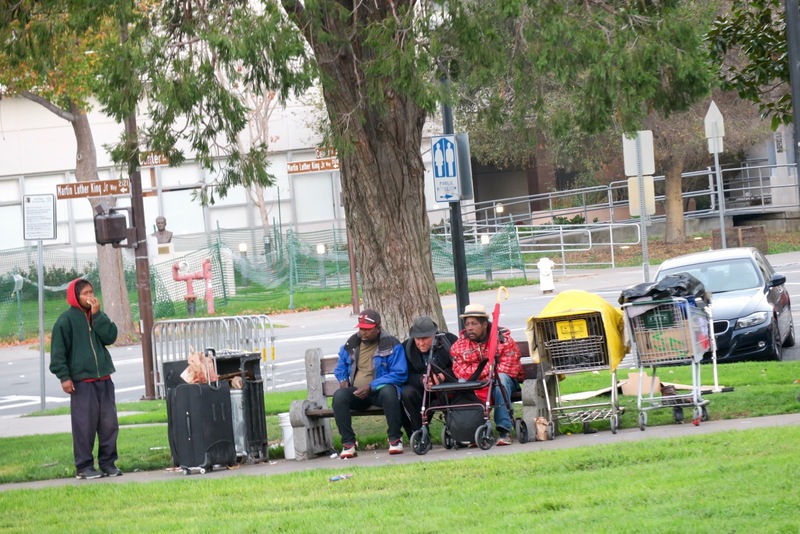 The park is nestled between Berkeley’s old and new city halls—near a homeless tent encampment around the corner. The encampment was recovering from yet another bust. The dreamers were encircled, as well, by disheveled homeless with bulging shopping carts and other accumulations. 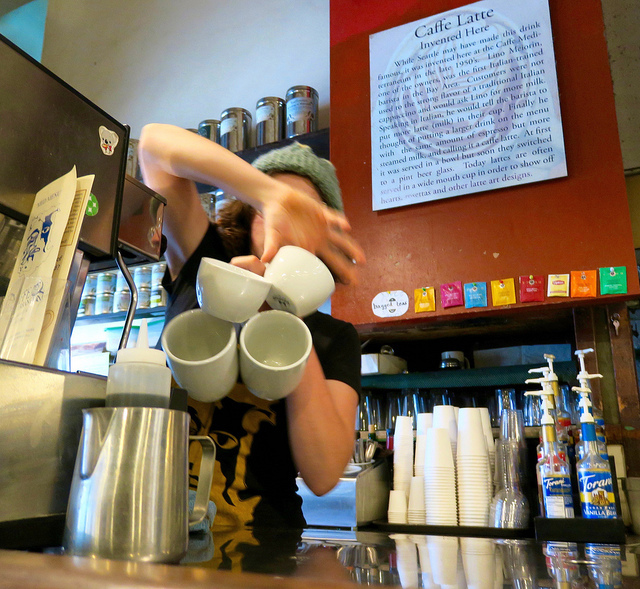 Some dreamers may not have noticed the homeless among them, since they see them almost everywhere they go, except perhaps Berkeley’s upscale Fourth Street business district. The Mayor said our housing crisis was an “emergency,” regurgitated the “more affordable housing” motif, and said he would talk to the city manager about the situation. 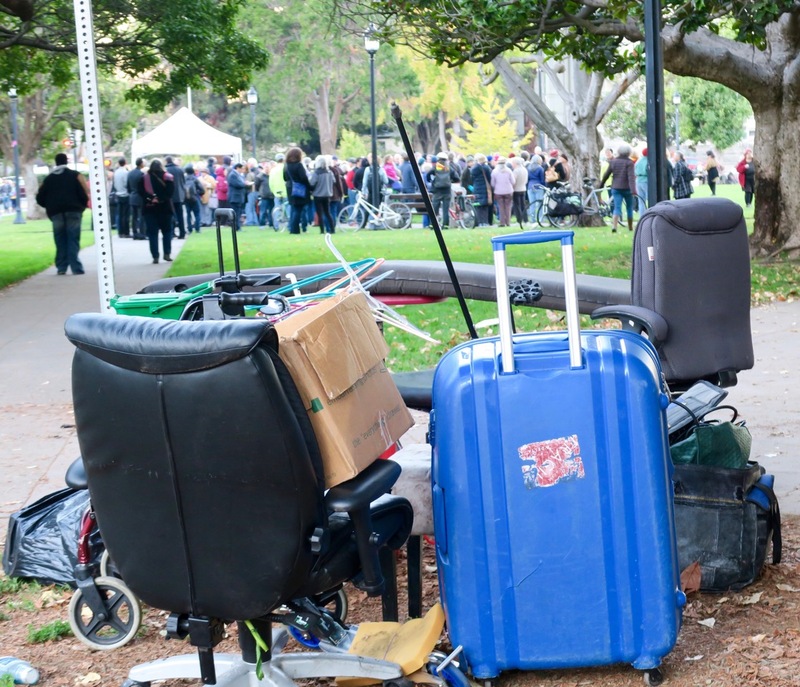 The city manager’s office has been busy chasing tented homeless all over town, clearing encampments, plucking up camper’s gear, the city says can be reclaimed, but campers deny. 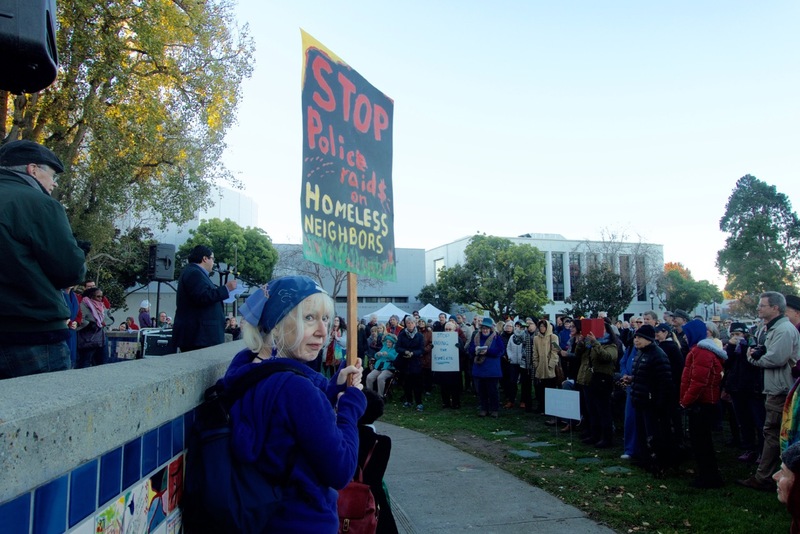 What will the Mayor and the City Manager say about Berkeley’s emergency homeless situation? dream-in. McMullan thinks it is high time the city considered building housing for some of its 1,000 homeless. “I know an available city-owned lot, the city could start with,” he told me. “We’re going to press this with [Mayor] Jesse,” McMullan said. 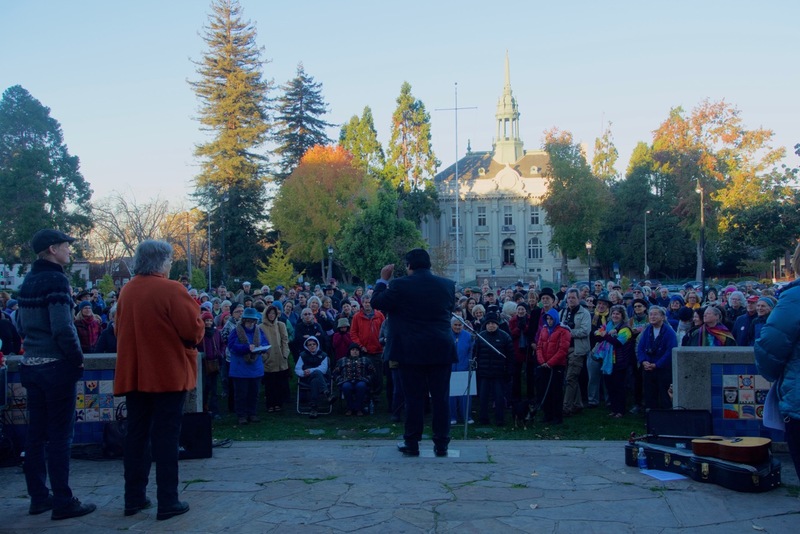 Mayor Arreguin has, throughout his career, aligned with what he calls “progressives,” which has put him an elbow’s length from various radicals, some of whom may have supported his mayoral bid. Now these rads may lobby Arreguin on the alleged homeless crisis. 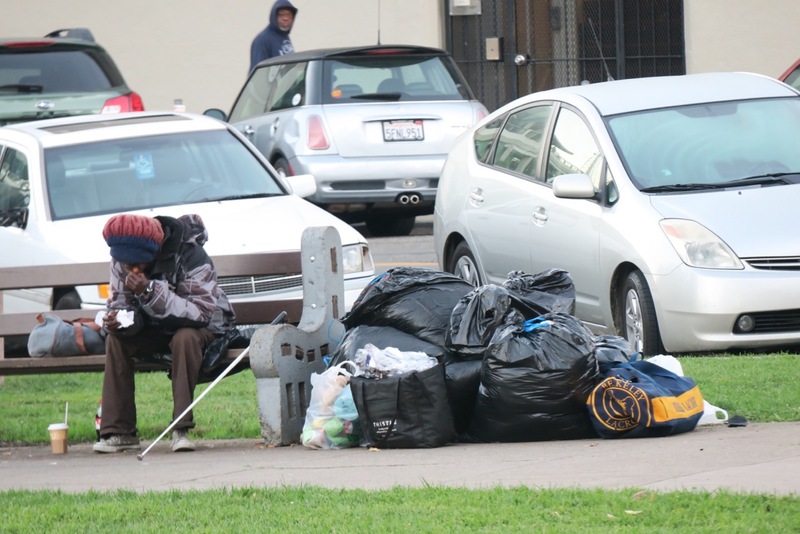 Arreguine didn’t stress his homeless task force during the election campaign, perhaps because it failed after more than a year of talk, to take a bite out of the homeless problem. Now the new mayor wants to discuss the homeless situation with the city manager’s office. Homeless advocates would like to get much more than this.